With a slight whiff of 2002's British movie 24 Hour Party People, as well as the advertised comparison to Phoenix Nights and The Sopranos, it's no surprise that The Club is more than a little bit messed up. 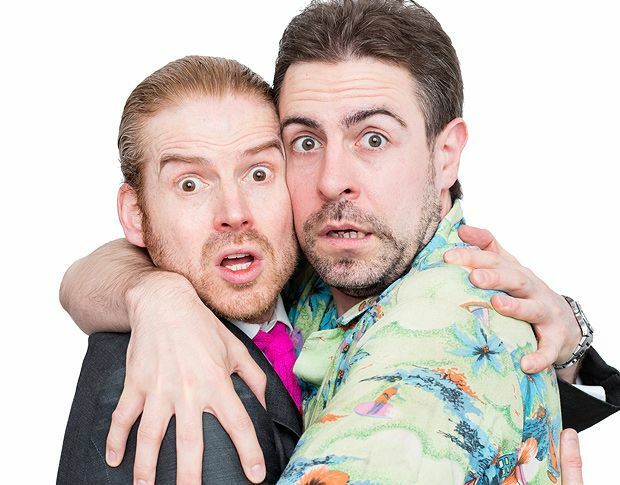 But with acclaimed Edinburgh writer Ruaraidh Murray penning this drug-fuelled hour of mayhem, you know that you are in fairly safe hands and that this is going to be a trip well worth taking. It's London's legendary 90s club The Tardis and the owner is in deep with the sharks. Owing money left, right and centre, the club is on the verge of going under and his life is about to come to an abrupt and painful end unless cash comes to hand very quickly indeed. With nobody but his perverted, drink-sodden friend to confide in, the two try to resolve things before it is too late. But the sleazy club underground has its own rules, and they soon find themselves in more trouble than they could ever have imagined. Written with wit and unnerving edge, The Club rattles on with the beat and energy of an early 90s' rave, with the dialogue bouncing with speed and clarity, leaving little room to breathe. The big and brash performances are magnetic, sparking a wonderful chemistry between the two hopeless characters that is consumed by madness, hatred and love. Clocking in at around 50 minutes, it will, like a heavy night out in the club, feel a lot shorter. Like the late nights of old, it's dizzying, confusing, exhilarating and utterly intoxicating. Gilded Balloon Teviot, until 29 Aug, 5pm, £12.50 (£10.50). Ruaraidh Murray / Something for the Weekend Phoenix Nights meets The Sopranos. One night in London’s legendary 90s club, The Tardis. If you were there you wouldn't remember anyway… George is facing closure unless he pays the mother of all rent demands. Fortunately, The Tardis is having the party of the year tonight.